I’m going to get a little bit personal here – You see, over the last year, I have managed to go through a bit of a crafting identity crisis. I was trying to figure out what direction I wanted to take my crafting and as I saw what others were doing, I let it get into my head that I wasn’t doing enough/doing the right things. I would feel bad and feel like I needed to do so much more. Which overwhelmed me and turned into me slowly putting off posting projects, classes, or updates as I was waiting to get them “perfect”. Does this resonate with anyone out there? 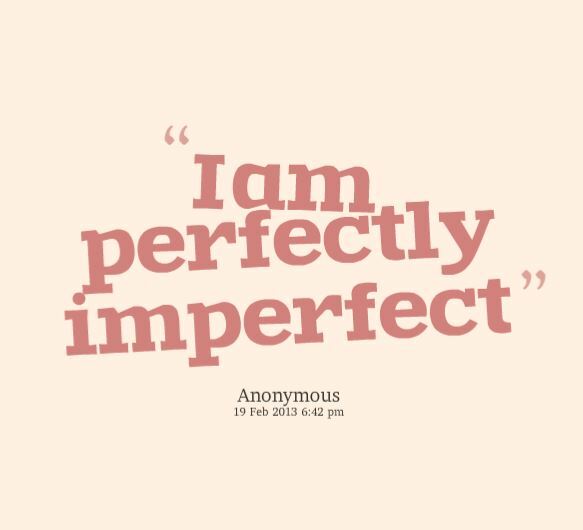 It took a number of months but I finally realized that I was never going to be perfect all the time and that is OK! I started out the year with my one little word being “imperfect” and said I wanted to strive to be perfectly imperfect. 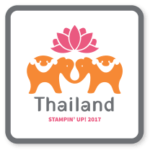 In fact, I did a short talk for Stampin’ Up demonstrators last month on growing your business by allowing yourself to be imperfect. The funny thing? I was cheering them on to just go for it, just put it out there even if it isn’t perfect… and what was I doing? Sitting on my projects and ideas! So, today, I’m taking my own advice and sharing with you a project… with less than perfect photos, and maybe a less than perfect design. But fun non-the less! The centerpiece for this card is the idea of creating a custom embellishment by stacking die cuts instead of using dimensionals. Check it out above! Its an easy and fun way to use your die cuts. 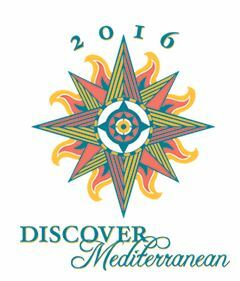 Stacked Die Cuts make great coordinated embellishments – so what do I mean by this? Well, I usually will die cut a shape or a sentiment and then pop it up on my card or project using Stampin’ dimensional foam dots. But you can get a cool effect if you replace the dimensionals with extra cardstock! Start with the shape you want to be on top – in this case, the So Saffron celebrate sentiment. Then start die cutting more of the same shape to be the supporting layers. You can make all the layers the same color to make it look like a fat puffy sentiment – or do like I did here and us a few different colors that coordinate with the rest of your card. I used 2 Early Espresso layers and 2 Berry Burst layers plus the 1 So Saffron layer. I used the Fine Tip Glue pen to hold my layers together; this gave me a little bit of wiggleroom to line up my words in each layer. When you are done, you get this need colored shadow effect that ties in perfectly to your card. Use ribbon as a pretty way to cover where two papers meet – I love mixing and matching cardstock and designer paper, like this pattern from the amazingly cute Picture Perfect Party stack. But add a bit of polish to your card by covering up the seam where the cardstock and pattern paper overlap with some ribbon. This metallic edge Berry Burst satiny ribbon is so pretty and a perfect accent for the card. I usually just add adhesive to the ends of the ribbon and use that to glue the ends to the back of the cardstock/pattern paper before gluing them down to the front of the card. The Celebrate You die cuts are available for a limited time as a Sale-a-Bration exclusive. You can get them free with a $100+ order through the end of March or while supplies last. 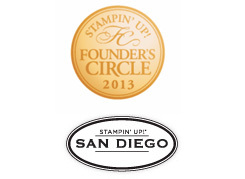 They will be back in the Stampin’ Up Annual Catalog in June, though I don’t know how much they will cost for the set. But if you love them, consider grabbing them now because why not get something free when you can? 🙂 Plus, once they are gone in March they won’t be back for a few months, so this is your last chance to get them early. 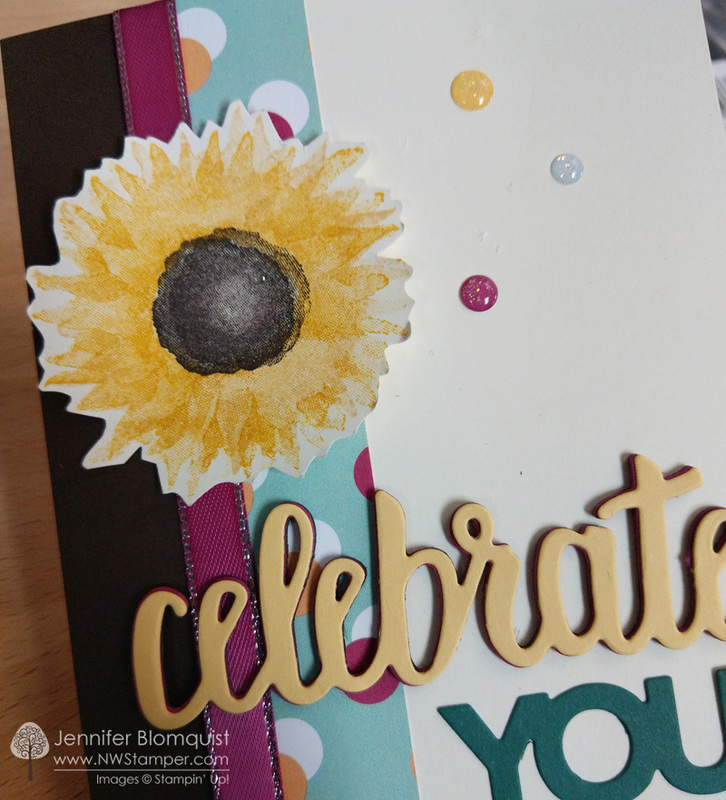 See another cute card idea with the Celebrate You dies HERE.